This latest Kingdom Hearts 3 trailer looks to have the most exposition of the trailers to date. So Shacknews is here with our four biggest takeaways from the Final Battle trailer. It looked like the Kingdom Hearts III trailers were all out the door. It looked like the continuing look into the game's narrative were finished. But right before Christmas, Square Enix issued one more trailer for the game that's been a decade in the making. And it's possibly the most eye-opening of all of the story trailers to date. Monday's trailer revealed a handful of never-before-seen story beats. That includes a new look at the Toy Story world, more looks at the resurgent Organization XIII, and a closer look at the Pirates of the Caribbean and Big Hero 6 worlds. Shacknews is here to break down the most pivotal moments from this trailer and give players an idea of what to watch out for. We start with the biggest reveal first, which comes at the conclusion fo the trailer. It's a look at an all-new world, where Xehanort and his copies all reign supreme. It's a world that he calls Scala ad Caelum. This Latin term literally translates to "Stairway to Heaven." This looks to be one of the last levels in the game and it looks to bookend the Kingdom Hearts trilogy perfectly. 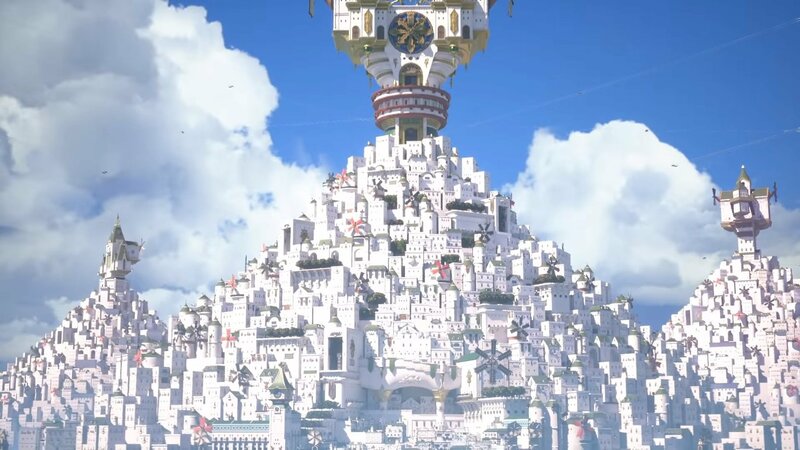 While the first game's End of the World stage represented the darkness of the Heartless, the second game's World That Never Was represented the void of the Nobodies, this game's Scala ad Caelum looks to represent the transendence of the Keyblade Masters. It looks to be one of Sora's greatest challenges and with the latter end of the trailer appearing to incapacitate all of his allies, with everyone getting swept away by the Heartless, it does appear that Sora will be undertaking this challenge alone. Who has rejoined the Organization XIII ranks? "I would hate to think we invited you back into our ranks, only for you to fail to deliver our final vessel." There's a mysterious member of the Organization revealed at the 1:55 mark and this person's identity remains unknown, even at the trailer's conclusion. Just prior to this, the viewer is taken into Lea's perspective, as he sees the remnants of the fallen Xion in Kairi. This is meant to hint that Lea is the mysterious cloaked figure. But this appears to be a classic red herring. Go back to the Tokyo Game Show 2018 trailer and recall that we've seen a different side of Riku. It's one consumed by the darkess. It's one that sees him standing on opposite sides of Sora. This is a total contrast to the Riku seen in this trailer, where he's fighting on the side of the light right up until the end. So what's going on here? When breaking down that TGS trailer, the question was posed, "What if this isn't Riku?" The theory popped up that the Riku that fell to the darkness left behind a Nobody, one that hasn't been seen to this point. This would seem to add fuel to this theory, with the Riku Nobody fighting alongside Organization XIII. 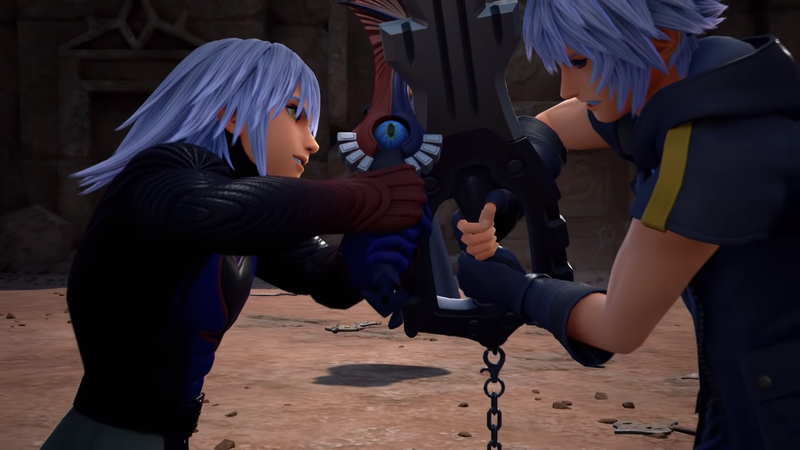 One more thing that seems to confirm this idea: A brief shot of two Rikus clashing Keyblades. As for the vessel that Saix is talking about, perhaps he means the actual Riku. Then again, remember that Xigbar raised the idea of a "vessel" back during the TGS 2018 trailer. There are admittedly a lot of questions here, but don't sleep on the possibility of double Rikus when this game comes out. Back during the X018 trailer, viewers were re-introduced to the Chirithy. For those that have strictly played the console versions of the Kingdom Hearts series, these are special Dream Eaters introduced back in Kingdom Hearts χ Back Cover. Their function is to guide a Keyblade wielder and that looks to be what they're doing with Sora. Here, a Chirithy asks Sora if he's come to recognize his own ability to restore people's hearts. 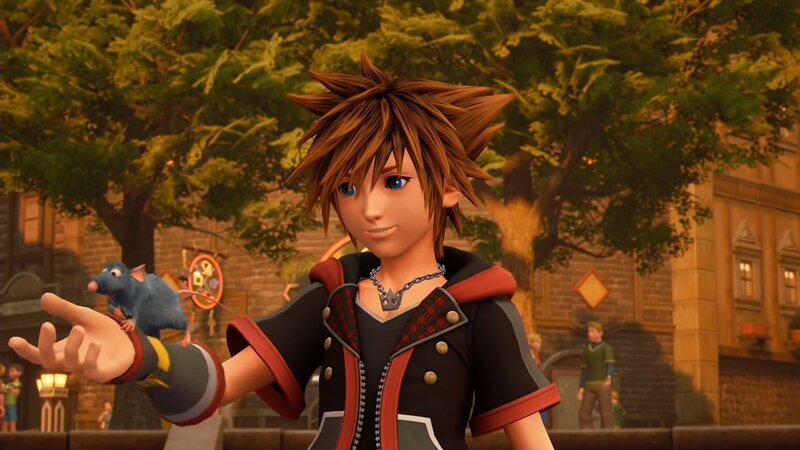 A running theme throughout these trailers has been the need to restore Roxas and the difficulty that task presents, since Roxas is a Nobody without a heart. So how can something that was never there be restored? The answer appears to still be unknown, but viewers did find someone else that shares a heart with Sora. And that's Ventus. Ventus has taken refuge inside Sora's heart since the end of Kingdom Hearts: Birth by Sleep. But viewers glimpse a brief moment where Sora and Roxas overlap each other, which appears to be the big answer to everything. 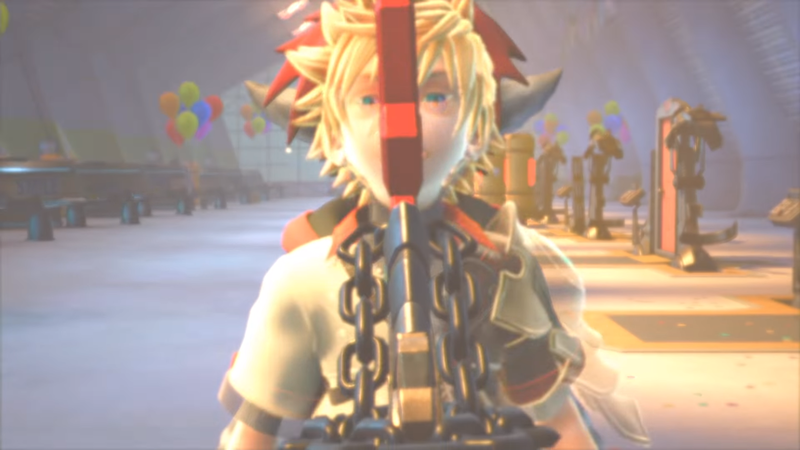 Once Sora recognizes his ability to restore hearts, it looks like Sora will finally liberate Ventus and wake him from his sleep. Sure enough, Ventus is seen in the big Heartless battle fighting alongside Sora, King Mickey, and the rest of their party. What this means for Roxas still remains to be seen. One of the biggest questions walking away from this latest trailer involves a returning Ansem the Wise. Those who have played Kingdom Hearts II will recall Ansem the Wise sacrificing himself at the end of that game to put a stop to the Nobodies' mad plan to re-create a copy of Kingdom Hearts (the object, not the game). So how is he still around? Those who have played through the various games like Kingdom Hearts: Birth By Sleep and seen the game's true ending will recall that Ansem the Wise survived his machine's explosion. It left him in the middle of the Realm of Darkness, where he encountered Aqua, who had freshly sacrificed herself to save Terra from the darkness. Ansem was seemingly set to spend the rest of eternity cloaked in the darkness. 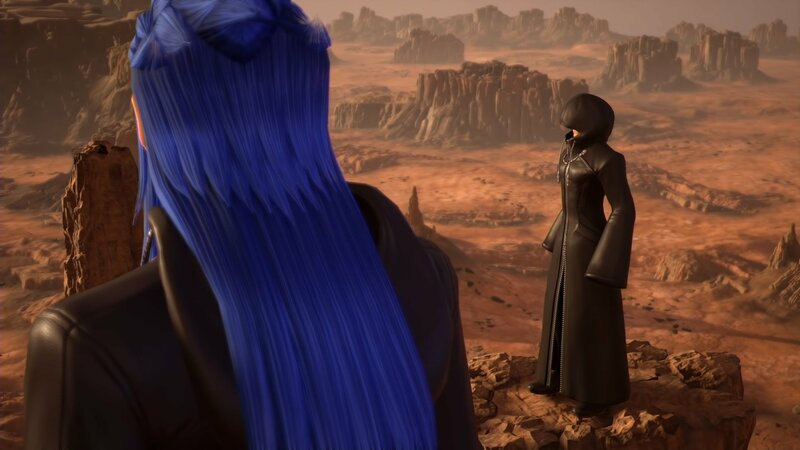 Evidently, he gets pulled out through unknown means, though one can reasonably guess that Ansem the Wise turns out to be the final vessel that Organization XIII needs. Here's where he's confronted by Ansem and Xemnas, the main antagonists of the first two games, for a mysterious purpose. 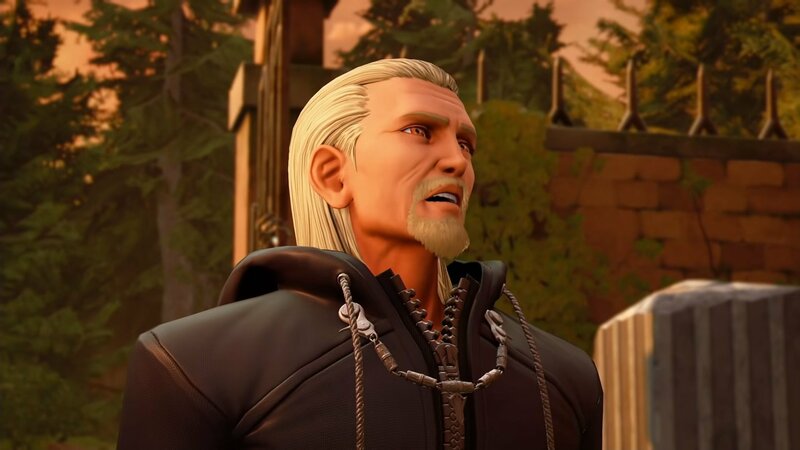 Recall that Ansem was losing his memories after prolonged time in the Realm of Darkness and he doesn't appear to be doing too well back in Twilight Town. But he has enough awareness to know the pain that his research into hearts and darkness has wrought. What the villains' goals are remains to be seen, but it may have something to do with the mysterious "black box" that everyone seems to be looking for. This is it. This appears to set up Kingdom Hearts III for its January 29 release on PlayStation 4 and Xbox One. If we get anymore story trailers, we'll be sure to break them down here at Shacknews.